Inflation? Flight to hard assets? Q: is hyperinflation on the horizon? A: historically, hyperinflation arose after wars and destruction. Right now central banks have to be cautious to collect the printed money on time. This is especially important as the economy grows again, stabilizes, and credit is passed on to businesses. With more credit creation more money enters the system. As long as industrial capacities are low and wages don’t rise there is not much risk of hyperinflation. However, does China have overcapacity? Q: what happened to the various asset classes during times of inflation in the 20th century? A: 1914-1923, after WWI hyperinflation in Germany; equities held up but lost up to 90% in USD. 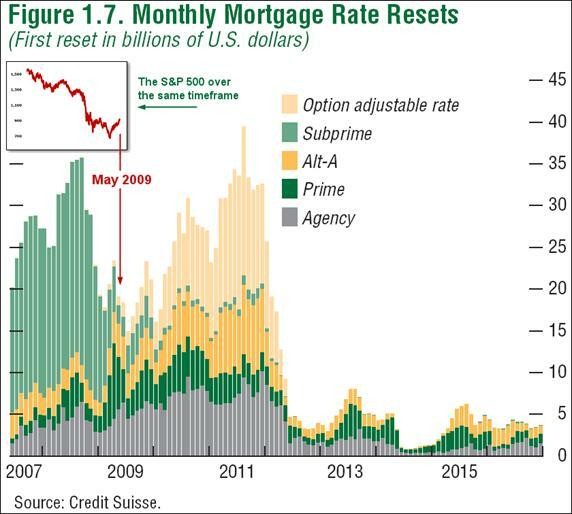 Only gold and real estate survived the crisis well. 1929-1932, deflation, equities fell (S&P minus 85% until mid 1932); government bonds only briefly under pressure in 1931; savings and life insurance policies held up, gold and real estate rose in value. 1939-1948, WWII, equities, bonds, savings and life insurance policies mostly devalued; investors who held on to their equities could make up for the losses during the post-war boom time. Gold was no.1. A lot of real estate got destroyed by bombs but those not destroyed later very much increased in value. Q: do I need to change the funds in my regular savings plan? A: during times of inflation bond funds will fall in value, a better choice are equity funds; best are mostly crisis immune companies like food companies (people need to eat), or other companies who can pass rising prices on to customers. Historically, equities outperformed during times of inflation. Q: Do I have to save more for retirement if inflation is on the horizon? A: Yes, as the rise in prices undermines the real value of your nest-egg. The higher the inflation rate and the further you are away from your retirement age, the more impact inflation will have on the real value of your nest-egg. Q: To what extent will inflation devalue my money? A: example: a payment/maturity value of 100,000 in 20 years down the road sounds good, but at 2%pa inflation will only be worth 67,000, at 4%pa only 46,000. If you want to have 100,000 in 2030 you already need to put away 219,000 today. This means you always have to increase your savings. One method to do this is to increase your savings rate every year by a set percentage. Q: Are my savings safe? A: Cash savings will surely make you poor, as interest rates are below the rate of inflation. Sitting in Cash is the worst investment as inflation slowly (or quickly) steals your buying power. Q: Does real estate protect from inflation? A: real estate are hard assets and inflation is priced in so the value will rise. But it can only work if the real estate market is functioning, i.e. especially with a longer term view real estate makes sense and if the demand is there – through higher incomes, favorable borrowing rates, good locations and demographics. Q: should I buy real estate for my own use or to rent it out? A: depends on your life plan, both offer protection from inflation. As an investment/rental property location is crucial and you should only buy if you know the local market. There are good assets and bad assets – simply put an asset that pays for itself is a good asset! All real estate works within a formula on whether it is better to buy or rent. The market is still digesting debt and this will play out on house prices worldwide. Q: is now a good time to buy? A: maybe, because of low rates and possible inflation. About 54% believe that buying property now is better than any other investment to preserve wealth. And almost 90% see real estate as an important part of their retirement planning. But nobody should buy out of panic. Those who couldn’t afford to buy before the crisis won’t be able to afford this now. Crucial is timing and location and affordability. However, we think waiting till 2011 may be a good strategy as there are a lot of debts to be refinanced. Not just in America! Australia with $581 billion of it’s foreign debt owned by private sector financial corporation’s (see the bottom of page 60.) Worse still, nearly $500 billion in foreign debt has a maturity of 90 days or less, meaning any large and sustained disruption to global credit markets would require some kind of local solution. This concerns us in Australia. Q: should I accumulate a lot of debt? A: this seems tempting as inflation also devalues debt. Example: a loan of 200,000 over 20 years at 4.75%pa will cost 310,000. With inflation of 0.7% the cost will decrease to 289,000. At 2% inflation the real cost will fall to 258,000, at 3% to 236,000, at 5% to only 199,000. But be careful: the level of debt needs to match your level of income. If you have rental property you need to keep in mind that there might be vacancies and hence no income. Q: can I invest in property with small amounts of money? A: yes, via real estate equity or property funds by buying units regularly via a savings plan. Q: will an investment in gold protect from inflation? A: yes, gold doesn’t pay an annual dividend but is a real asset that prices in inflation. In times of one crisis after the other and lots of money printing more investors, individual and governments, are interested in gold. It is generally true that commodities prices rise when money flow increases. There are also some very innovative funds available, one such fund is up over 11% in the last 4 months. Q: the price of gold went up substantially, does it still make sense to buy now? A: yes, gold is not yet scarce but is also not available ad infinitum. There is a lot of demand from institutional and private investors right now. Of course the price can always fall temporarily, but long term gold is a safe and capital preserving investment. It’s more like an insurance than an investment in the classic sense. Therefore you shouldn’t invest all your money into gold. Most experts recommend 5 to 15% and careful investors buy in stages rather than all at once at one price. PDF – a decade of appreciation in GOLD. Q: what is the easiest way of buying gold and what should I be aware of? A: one way is via ETFs, you can buy and sell daily. Advantage is that you don’t have to think about storage and storage fees. But be careful as not all ETF’s are the same, make sure they have physical gold not paper. Q: what about gold equities? A: this is indirect protection from inflation as they mirror the development of gold mining companies and not only the gold price. So there is risk in regards to how well the companies are managed but on the other hand company earnings can also rise much faster if the companies manage to operate at low cost. When in doubt bigger companies like Barrick Gold, Newcrest Mining, Gold Fields are favorable. To minimize risk buy a gold fund, e.g. BGF World Gold or GDX or GDXj. Q: how do equities behave during inflation? which are most attractive? A: equities are also real assets. Experts recommend equities of companies that are asset rich, i.e. companies with e.g. production facilities, machines, factories, real estate; these are real assets that protect from inflation. This means less e.g. servicing and software companies but rather old economy companies that actually make things! Equities held up much better than bonds. Q: what other real assets are there besides equities, real estate and gold? A: if you have the money you can invest in famous art. Right now the work of young artists is also booming. Or classic cars, e.g. Mercedes, Porsche, Ferrari. Or expensive watches like Rolex. Jewelry, Diamonds, Rubies, Emeralds, Opals etc. Q: shall I invest in government bonds? A: probably not. When rates rise prices will fall. Rates are at record lows right now so will probably rise. If at all invest in short term bonds over 1 to 2 years. Q: what about inflation protected bonds? A: right now is probably a good time. Once expectations of inflation increase worldwide prices will become expensive. Q: how do I best invest my wealth if I am afraid of inflation? A: real assets or inflation protected interest rate instruments. Banner’s recommendations for investors e.g. : 30% int’l equity (including gold equities), 20% hedge funds, 10% Real estate, 20% int’l bonds/ inflation protected bonds, 20% commodities/ Energy. More aggressive would be to dump the bonds and increase gold. Why this time things are different this time? Different because every weak member of the euro is and will be lambasted by the rating agencies, the IMF and the CDS tool. Different because California, larger than any of the weak euro members, is heading for bankruptcy. Different because the US dollar claims strength by basking in the euro problems, not because it has fundamental value for price. Our calls for currency and debt crisis have been good, perhaps a bit early. Do you think a few trillion dollars of new debt and money printing will turn things around? Do you think various politicians worldwide can save us all from this, with more debt? If you believe they will, then we guess buying the Dow on the dips makes sense, and we wish you luck. We also ask you this: Why take a chance? If we are wrong, it won’t hurt too much to stay heavy in gold and energy until it’s clear which way things are going. But if we are right, betting the other way will cost you dearly. One thing we are certain of as can be: the fear permeating the markets today isn’t going to dissipate soon, even under the best of circumstances and the most rosy economic news imaginable. Nor will it vanish quickly once it does start dissipating. That is very bullish for gold. So even if there’s no crash, even if the economy doesn’t come unglued, sticking with cost averaging in to gold, gold stocks and energy should work out well. Case Study: Non UK dom with UK assets – UK IHT what happens? Case Study: UK expat with UK assets – what happens with IHT? Case Study: UK expat with UK assets and non UK spouse – what happens with IHT? Financial Planning for Women, by Women!